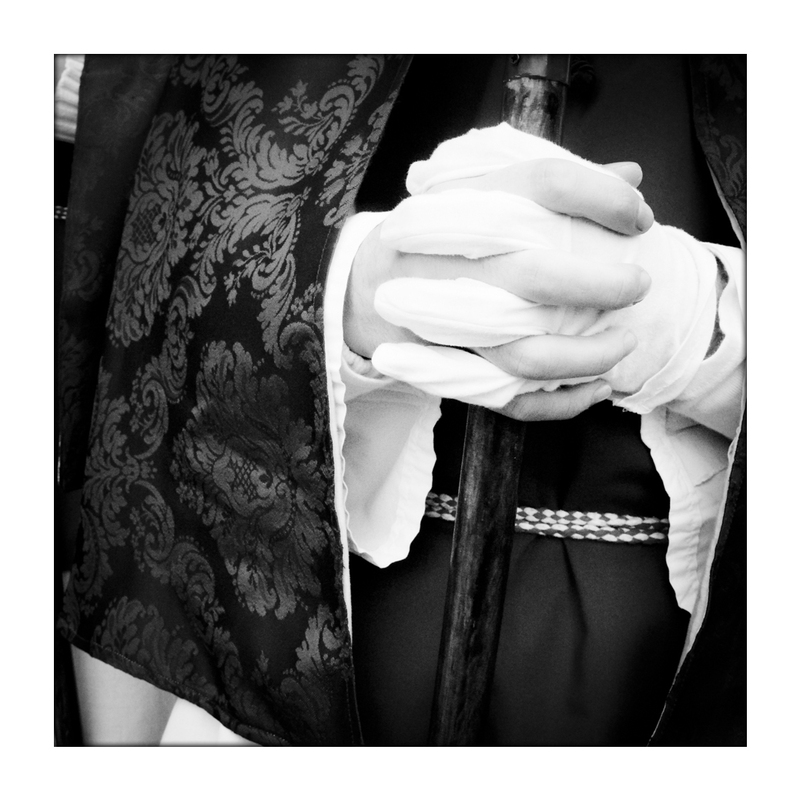 passion in sicily - Benvenuti su aureliobracco! 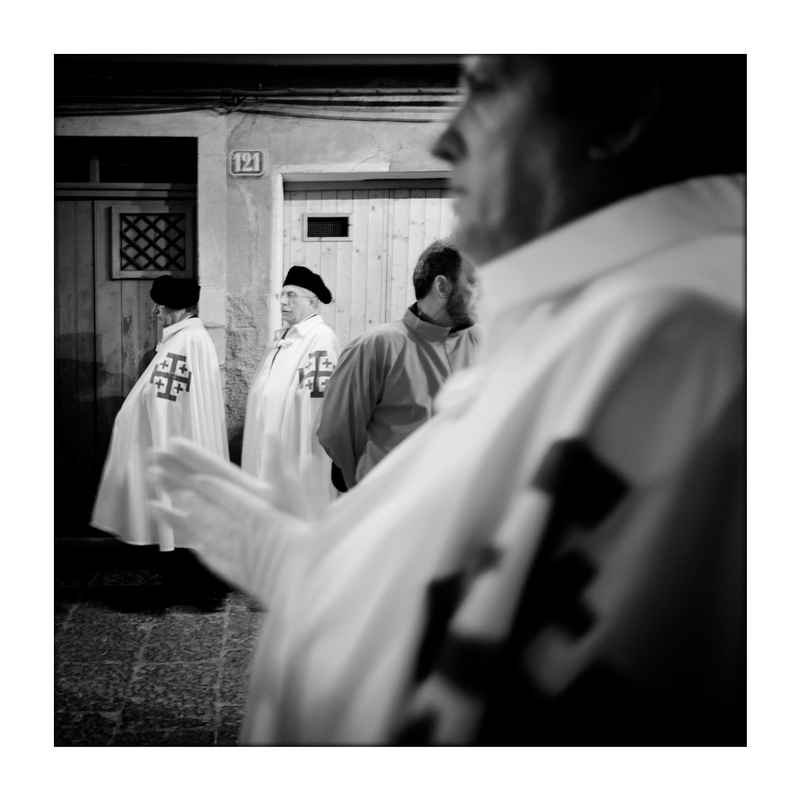 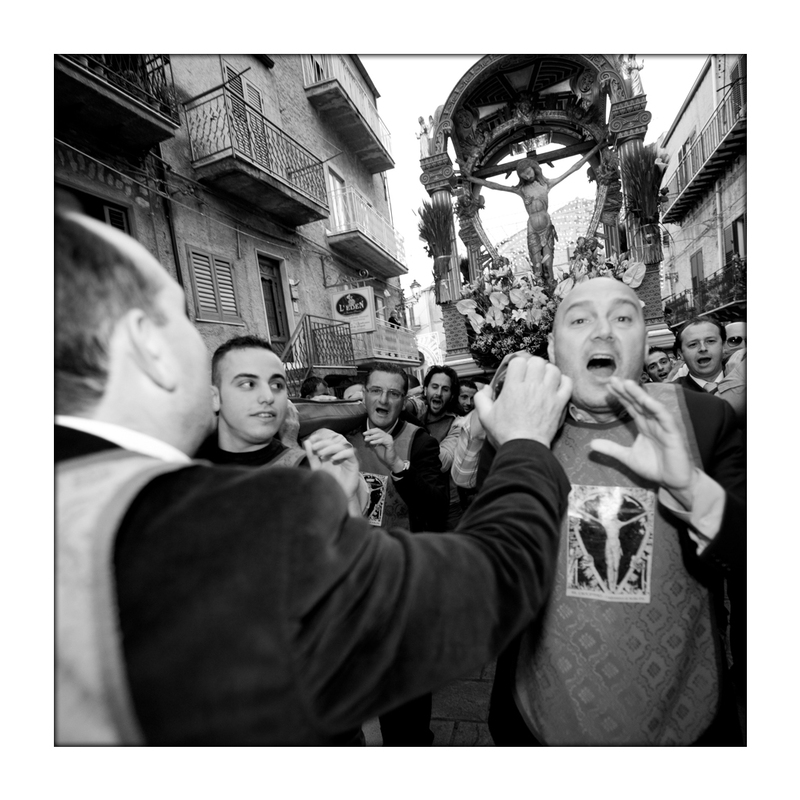 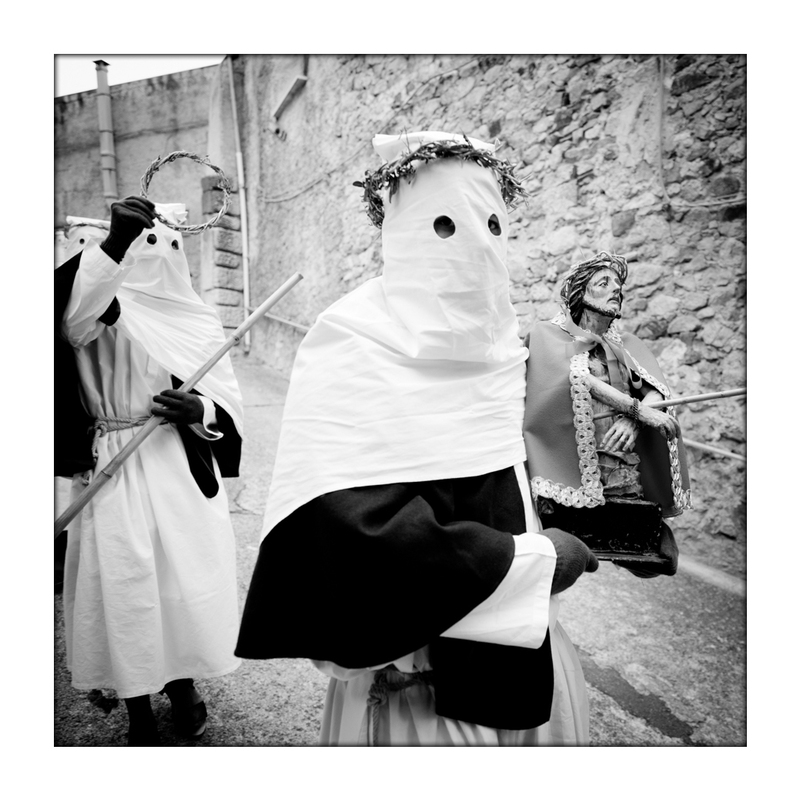 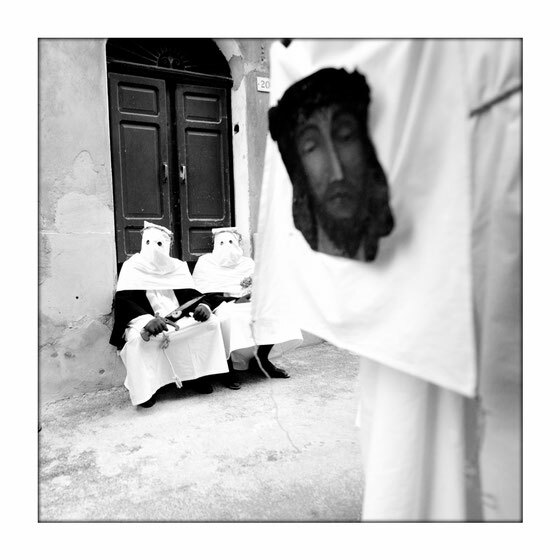 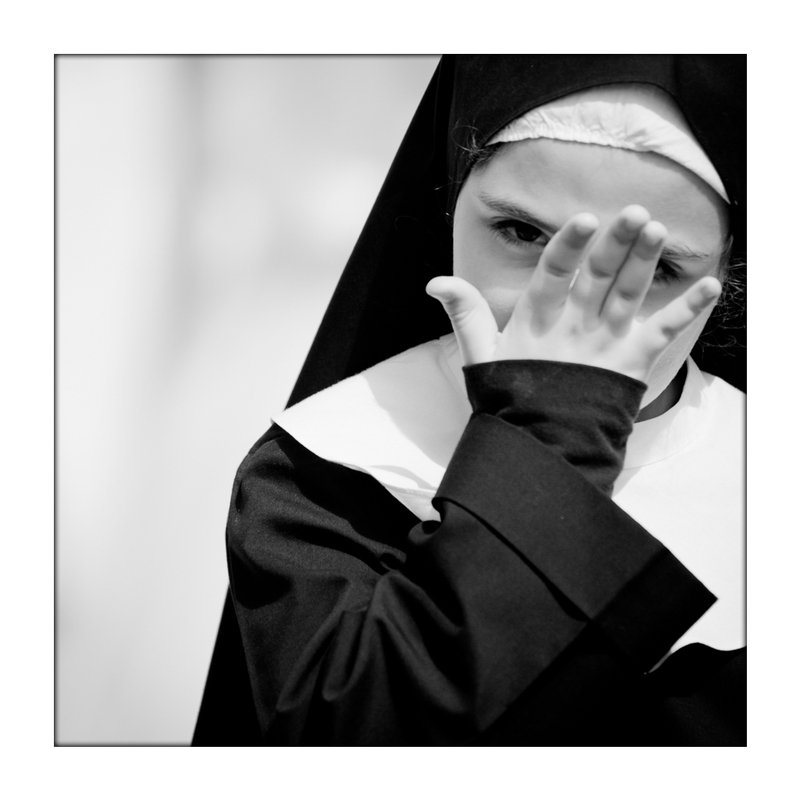 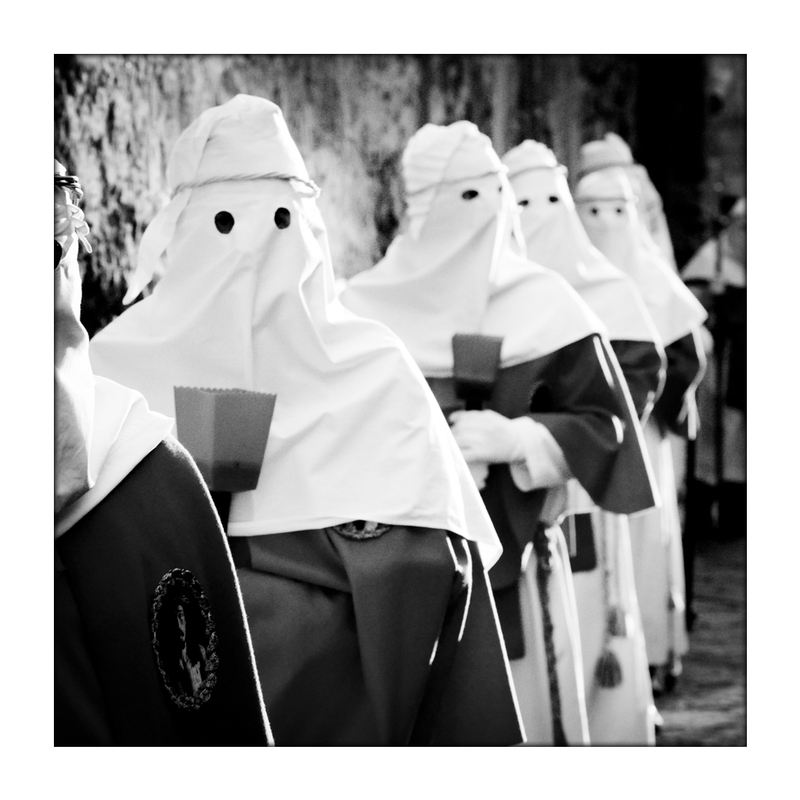 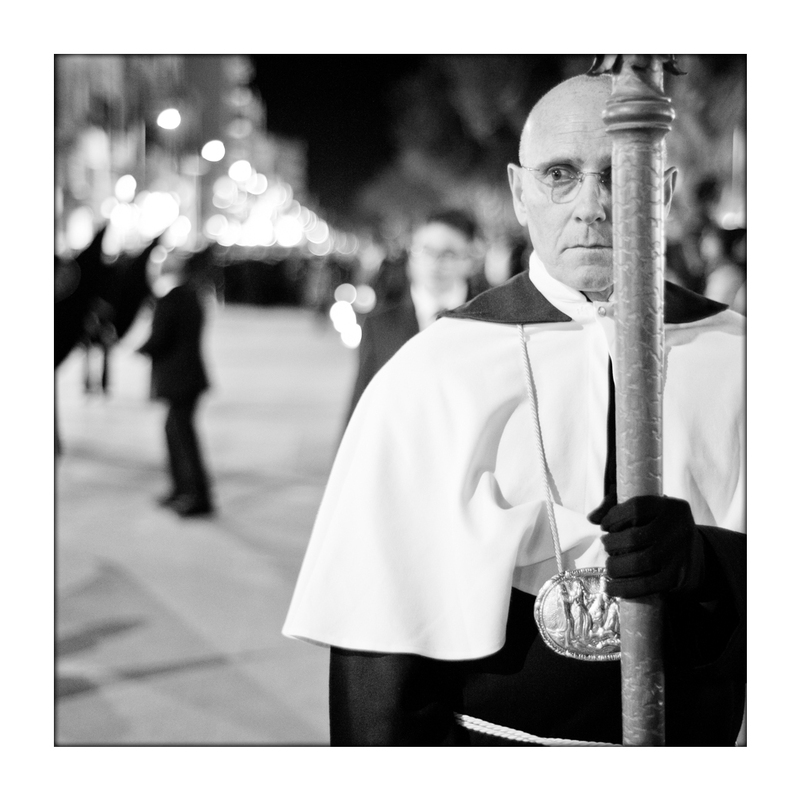 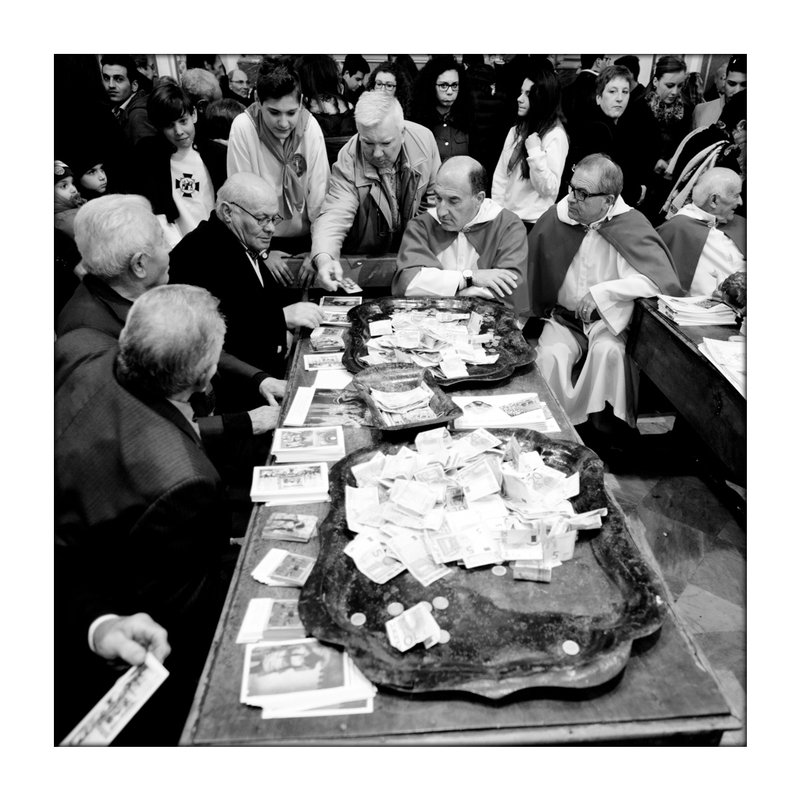 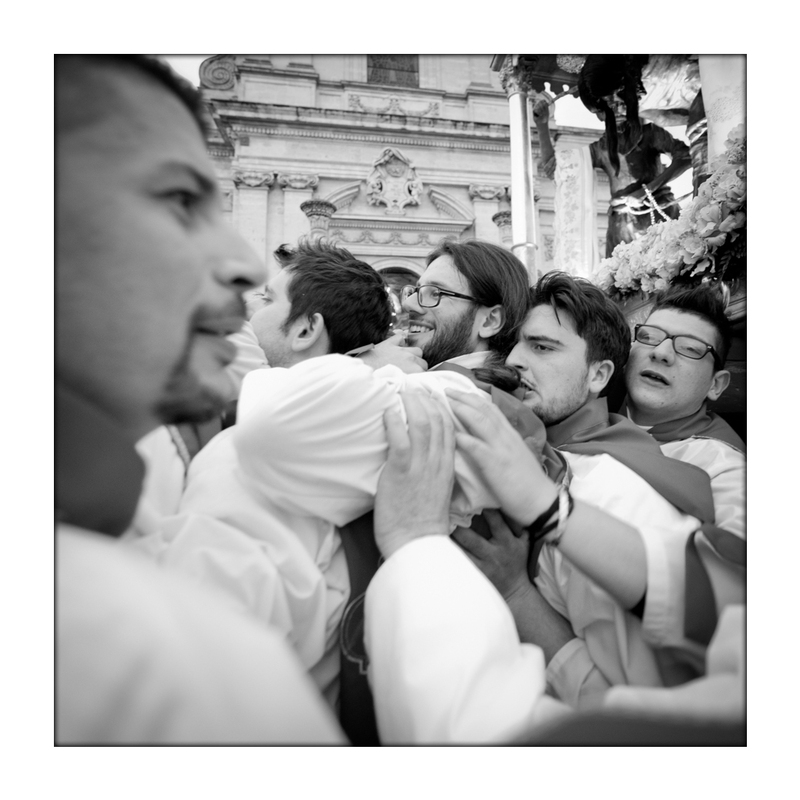 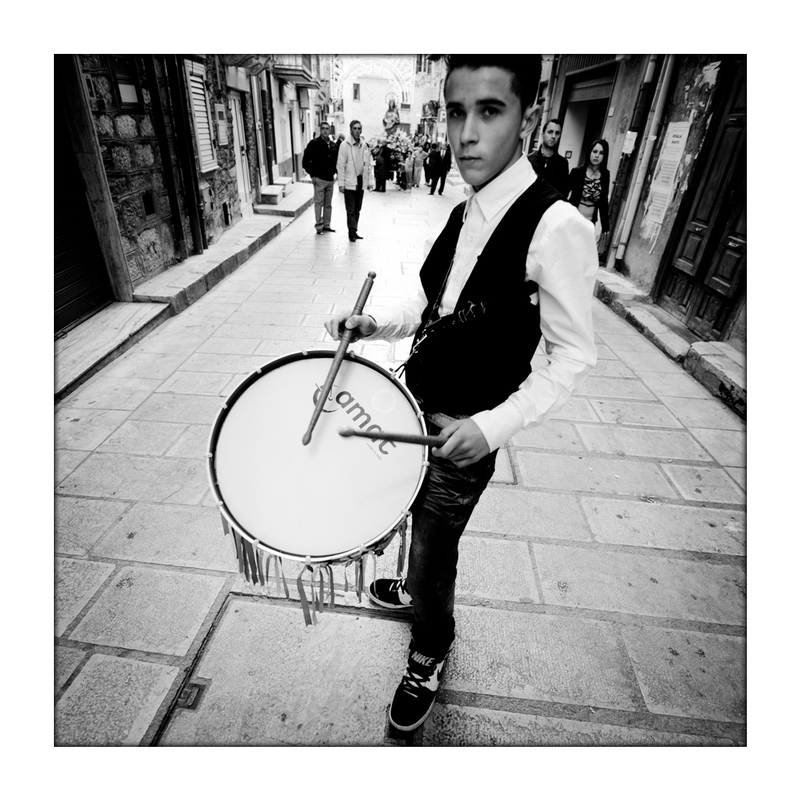 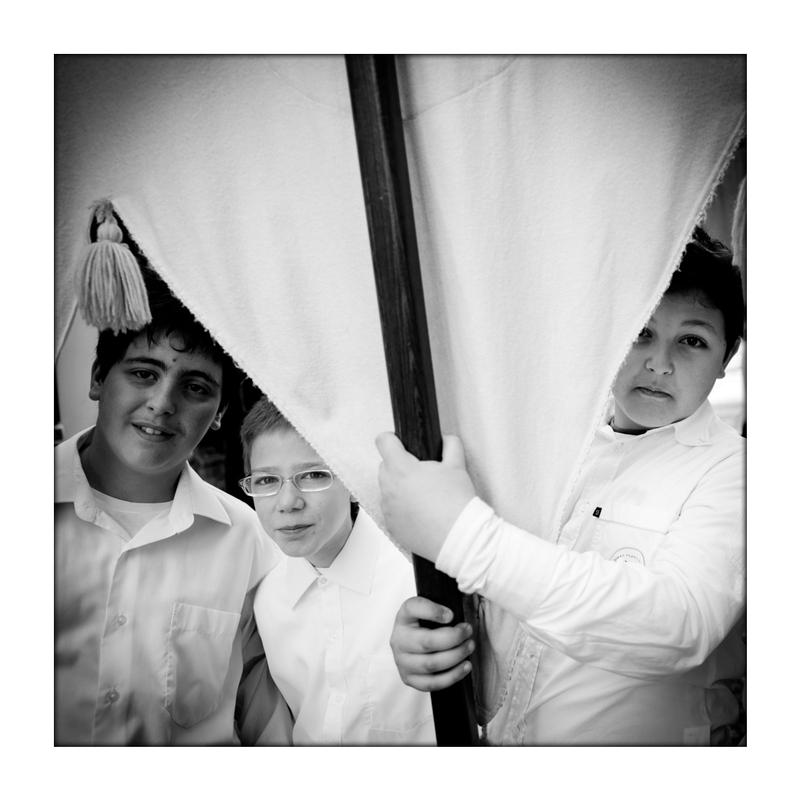 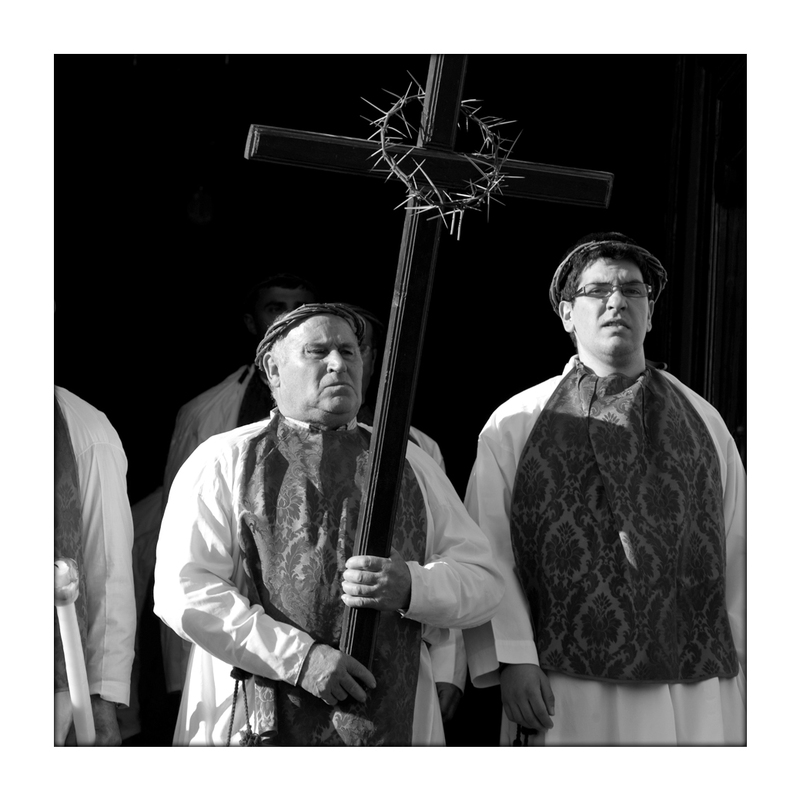 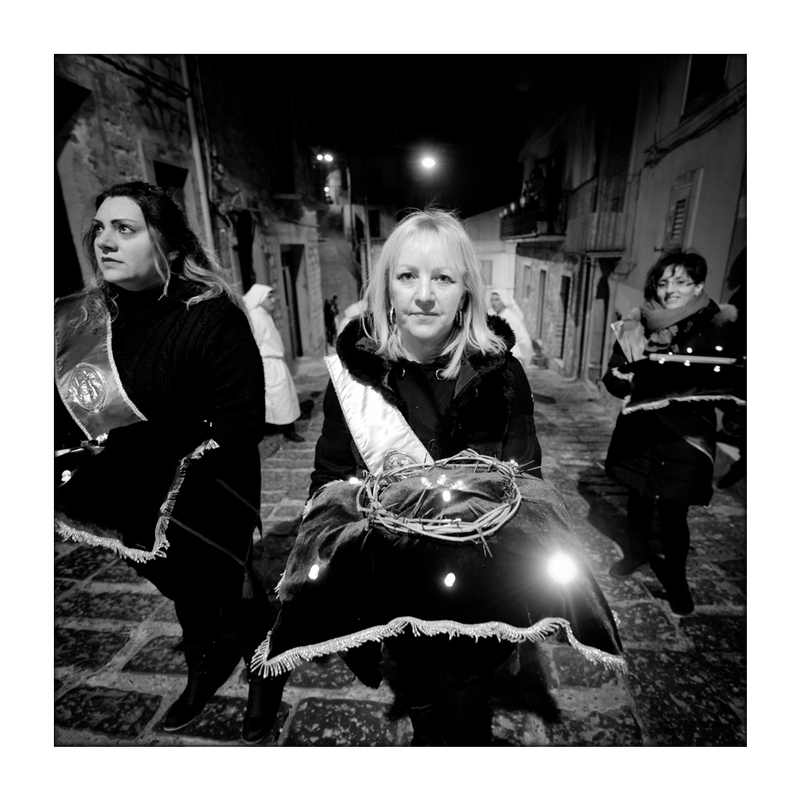 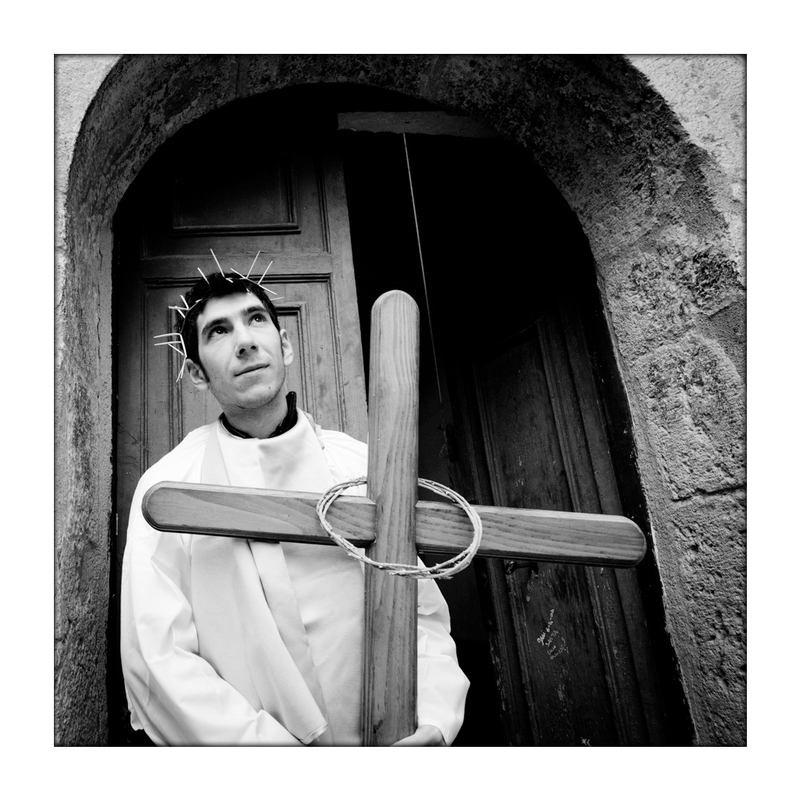 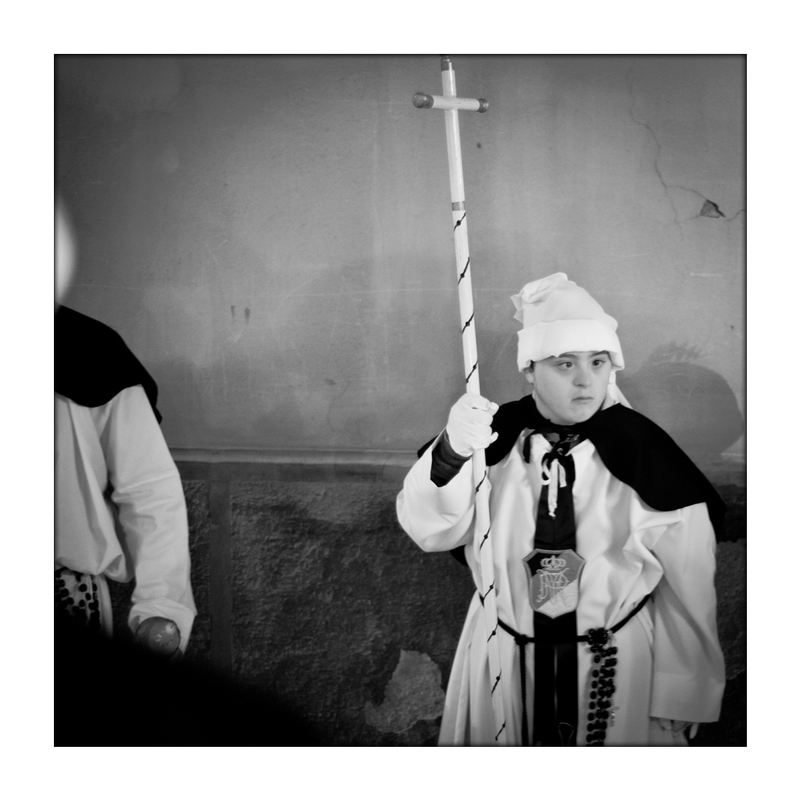 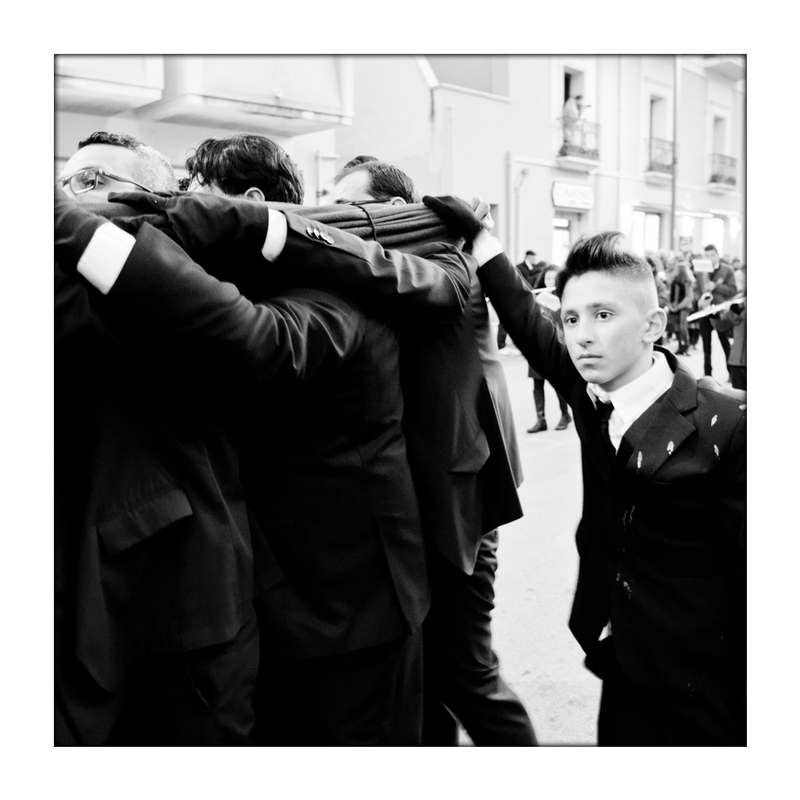 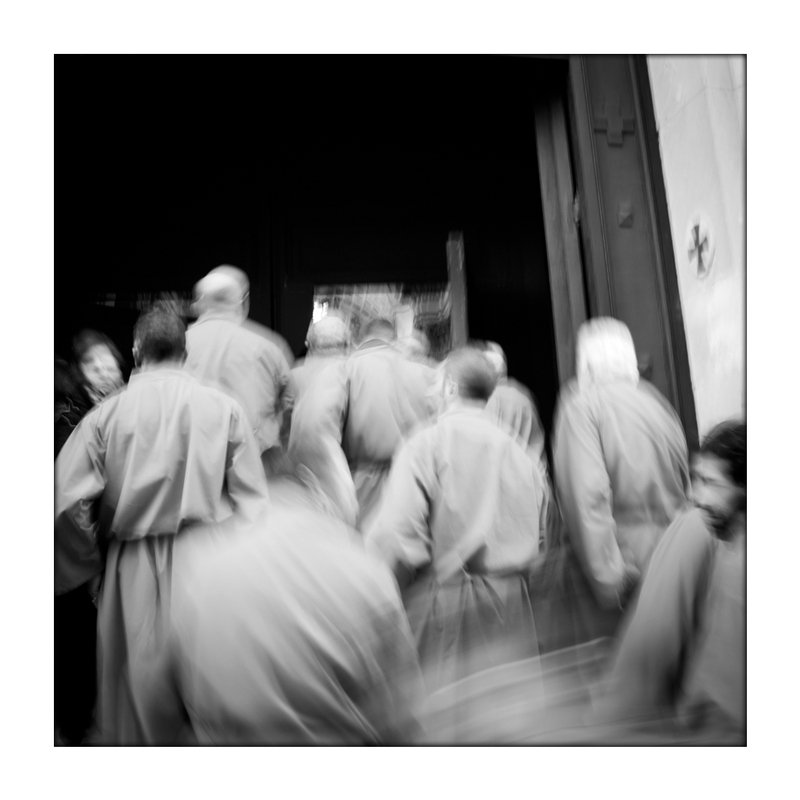 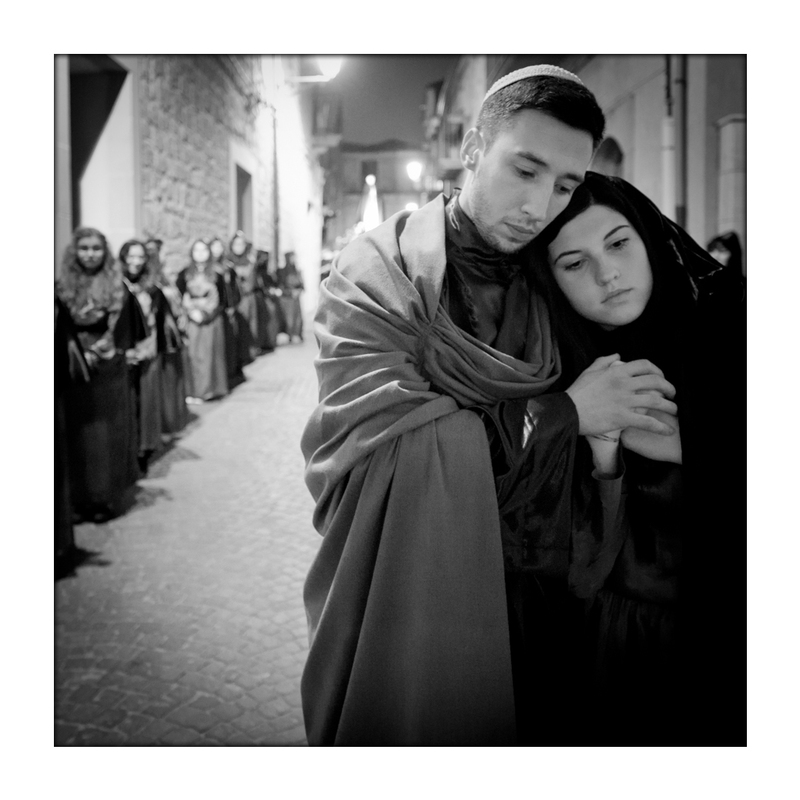 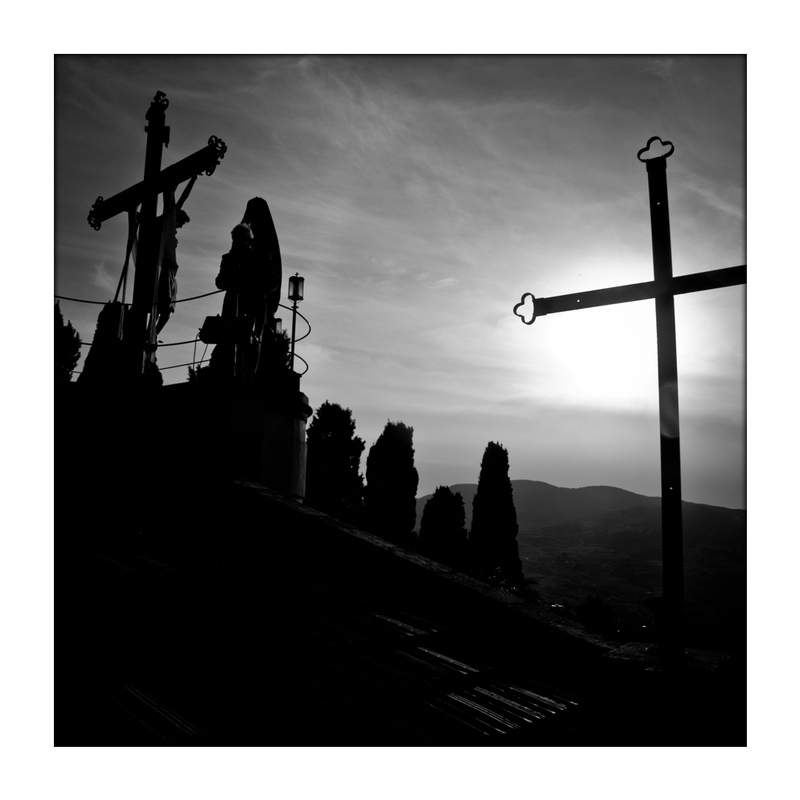 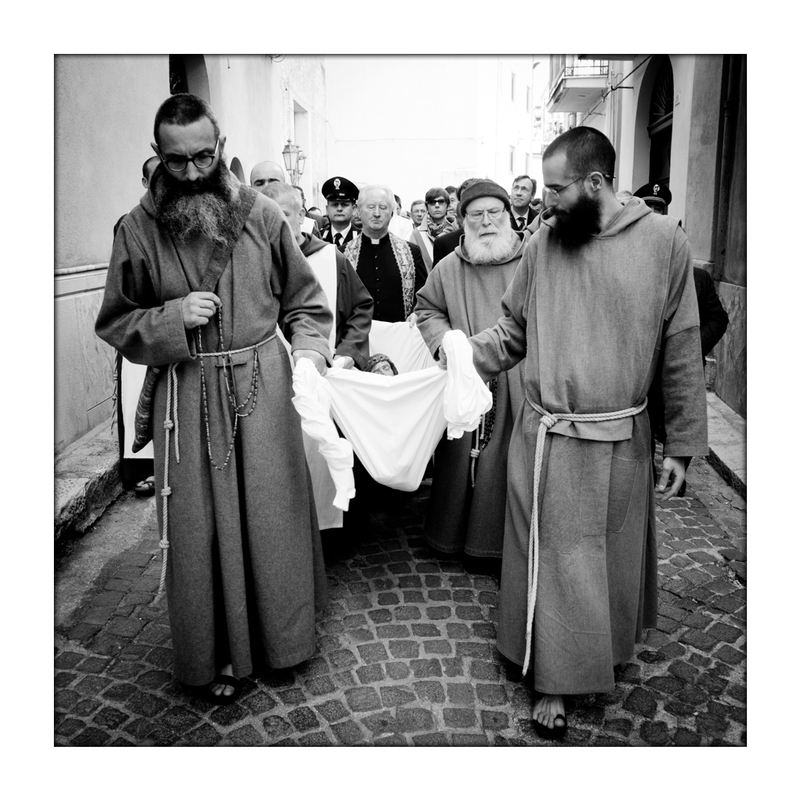 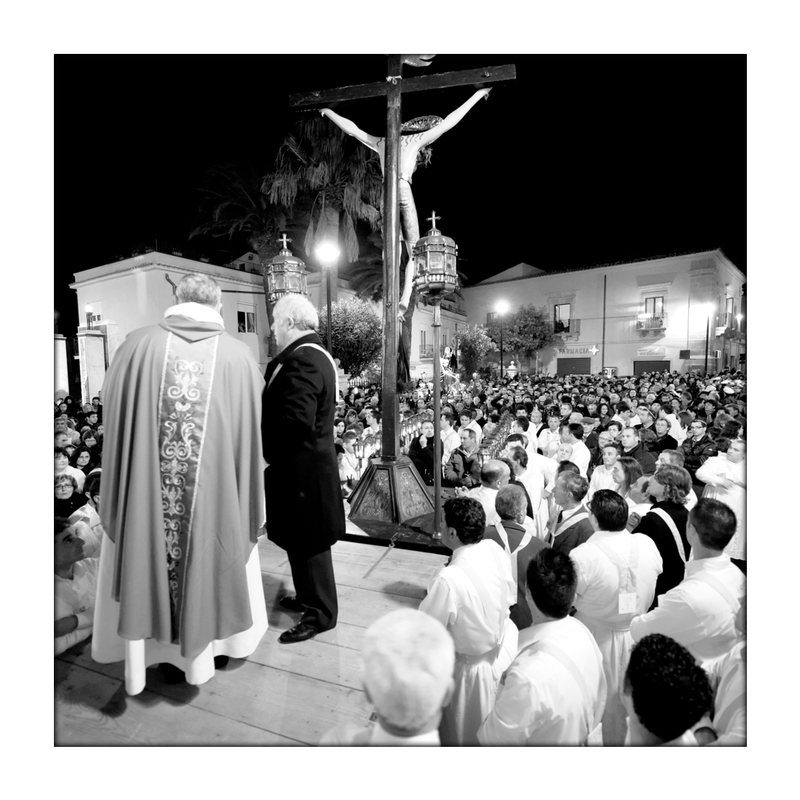 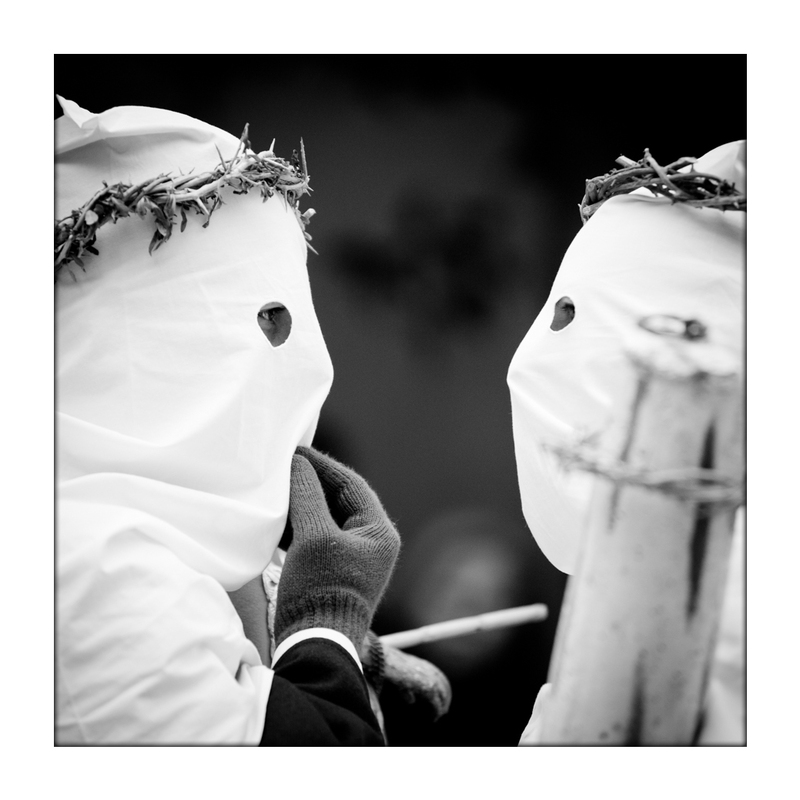 Sicilian rituals of Easter are among the most characteristic examples of liturgical theatricality in Italy. 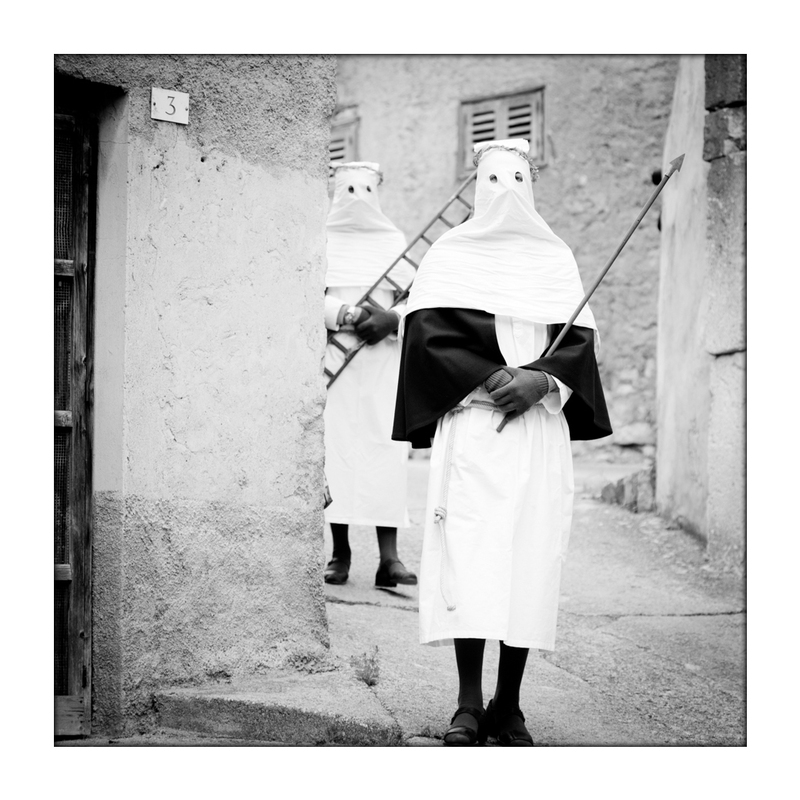 They take in place in open and public spaces and become an opportunity of social cohesion and historical memory. 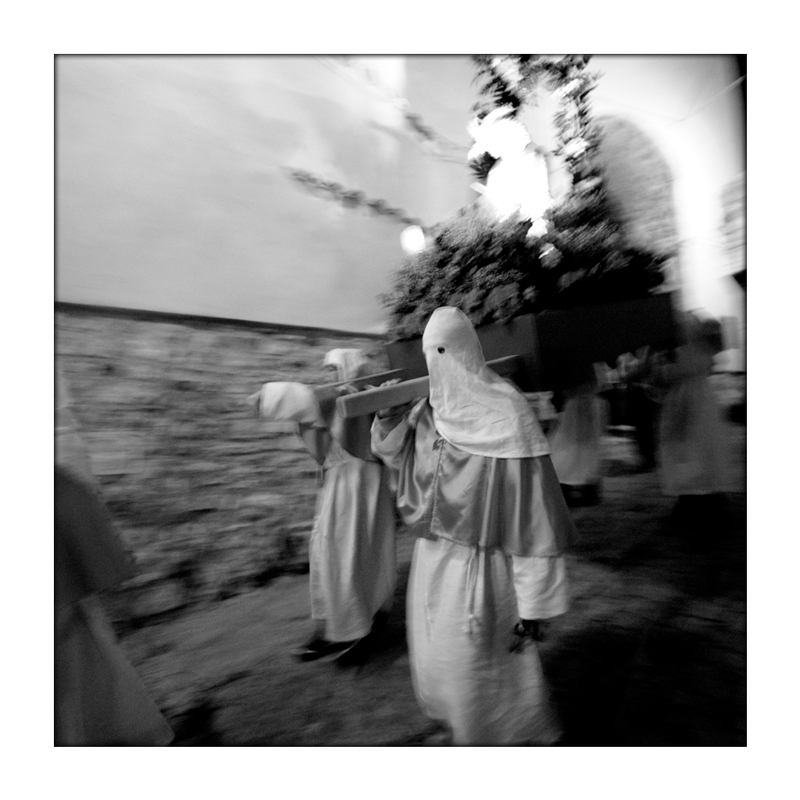 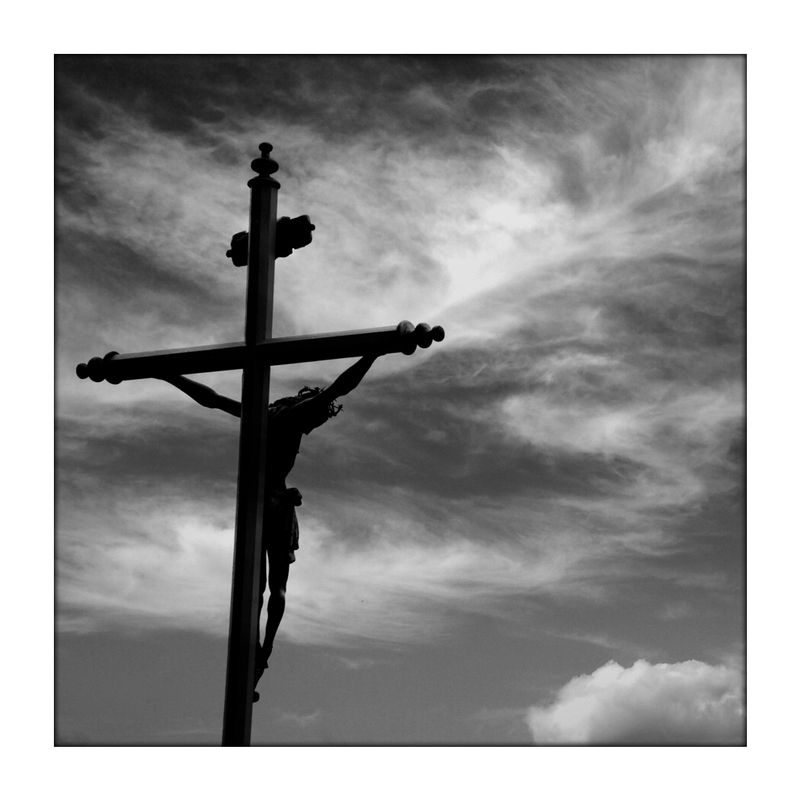 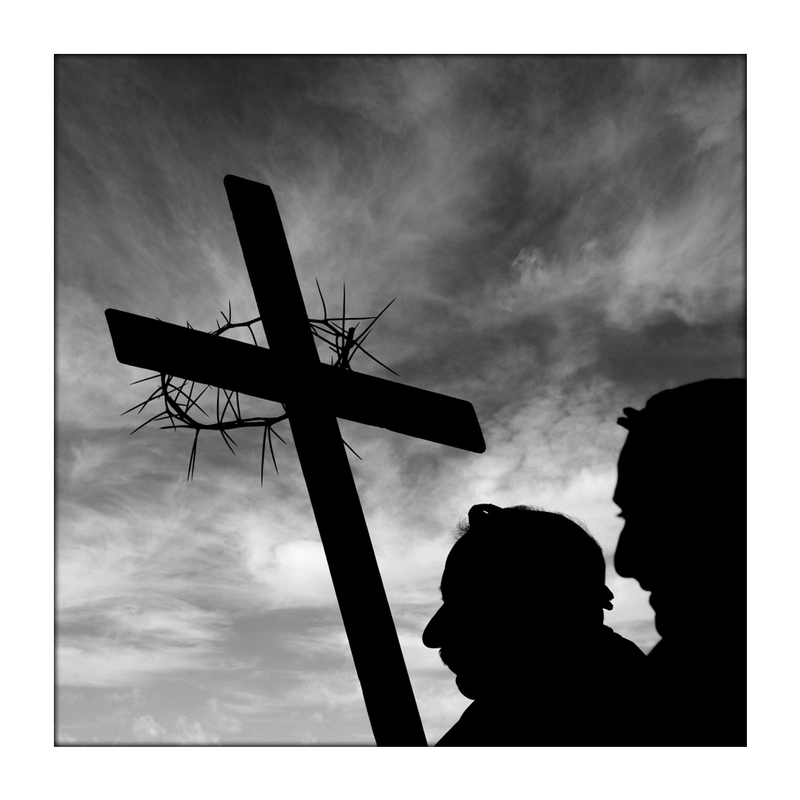 The "Holy Week" (It. 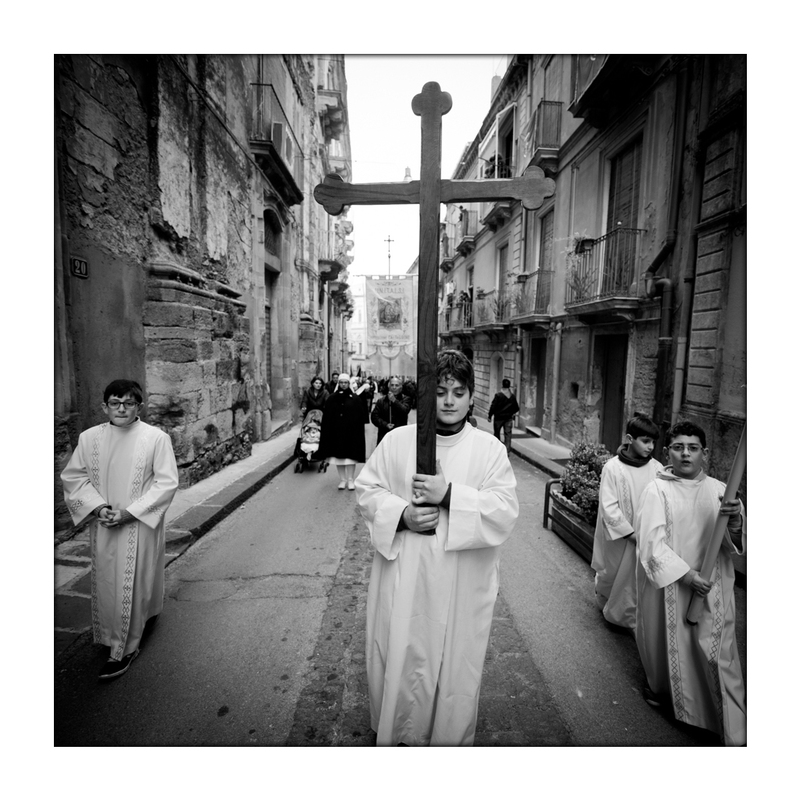 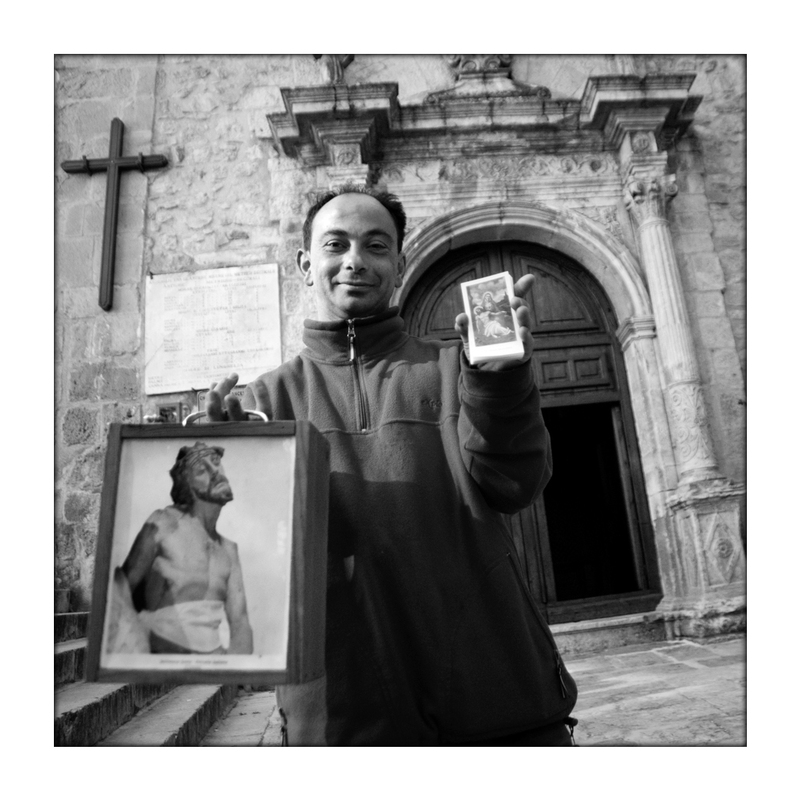 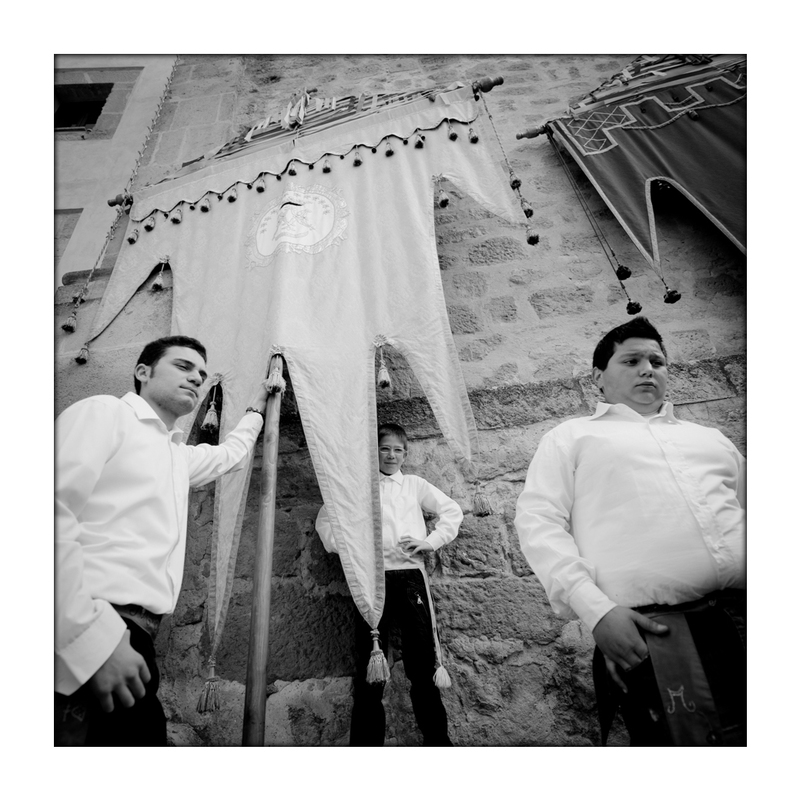 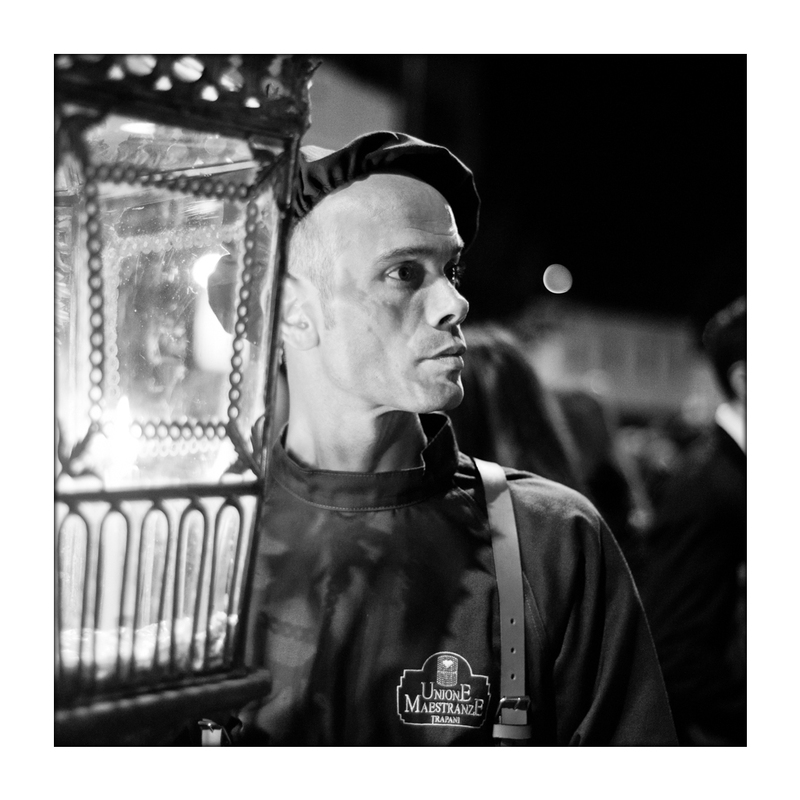 Settimana Santa) by Aurelio Bracco is made up of human participation, which is both protagonist and set design of his photographic project, in order to testify that every place is first of all its people. 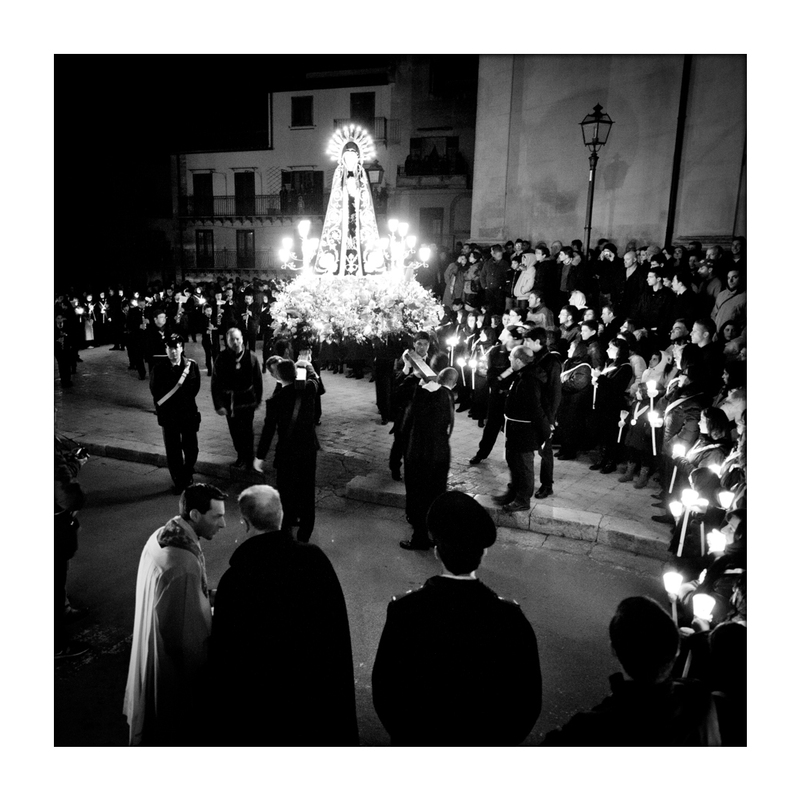 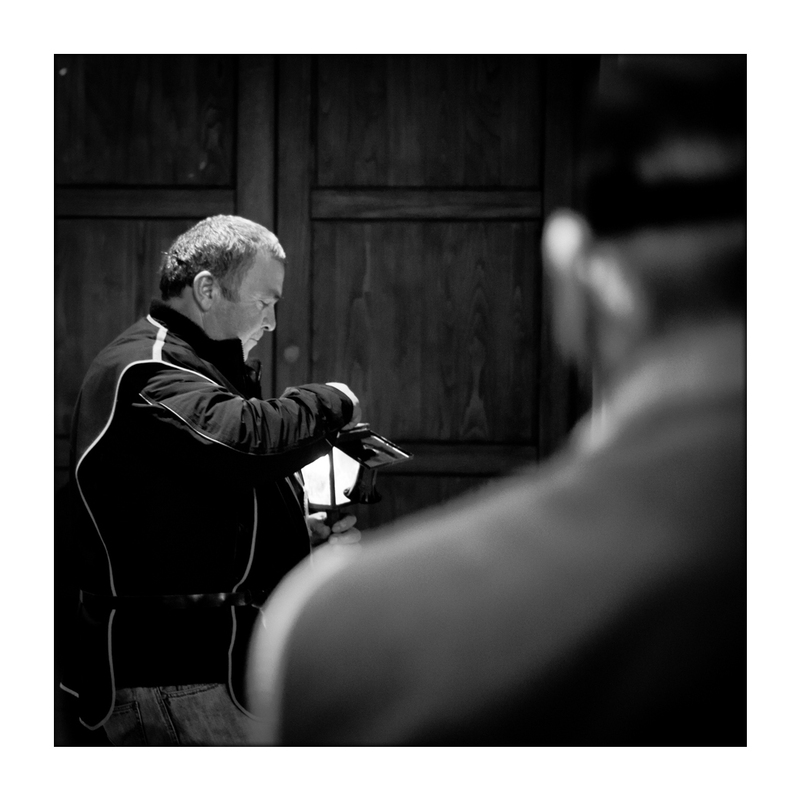 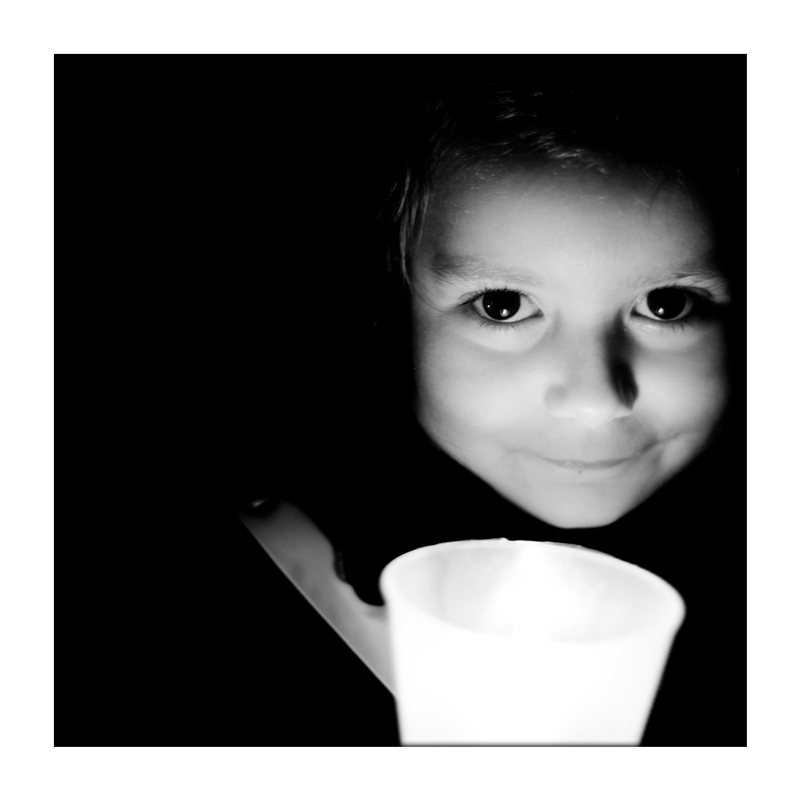 By giving up descriptive capability of colours and their sacred iconography meanings, the choice of black and white well performs the assignment of restoring the essence of ritual atmosphere, composed by shadows and lights, grief and joy, profane and holy. 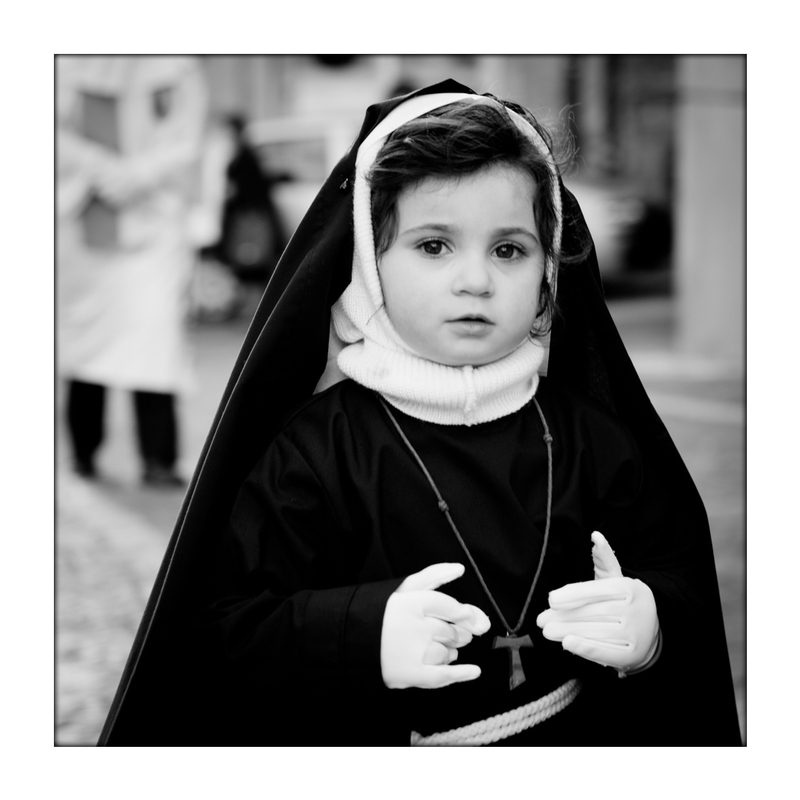 Black and white, indeed. 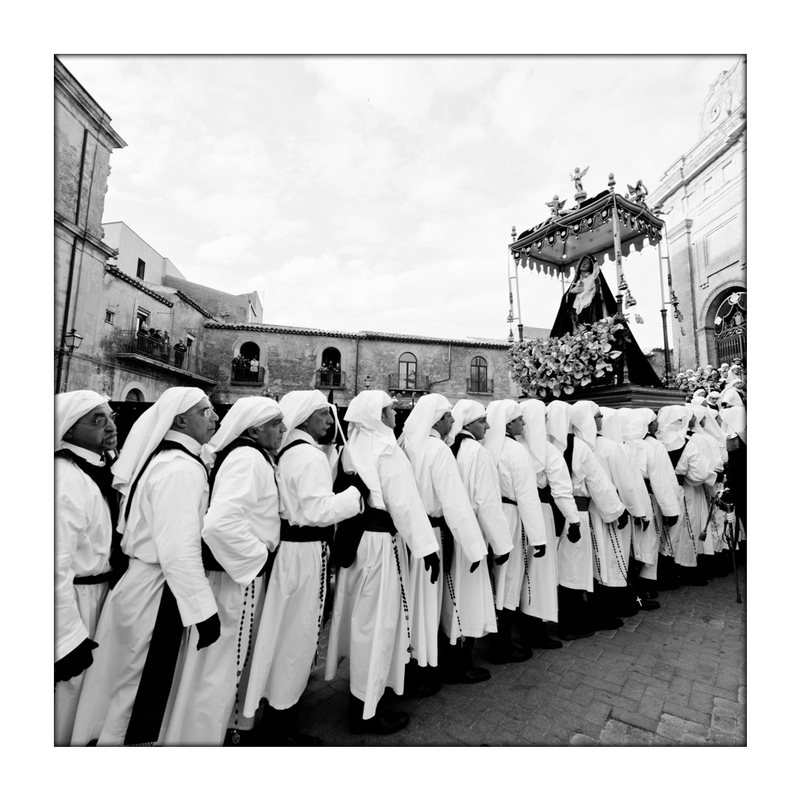 This section provides a selection of books themed after the Sicilian processions. 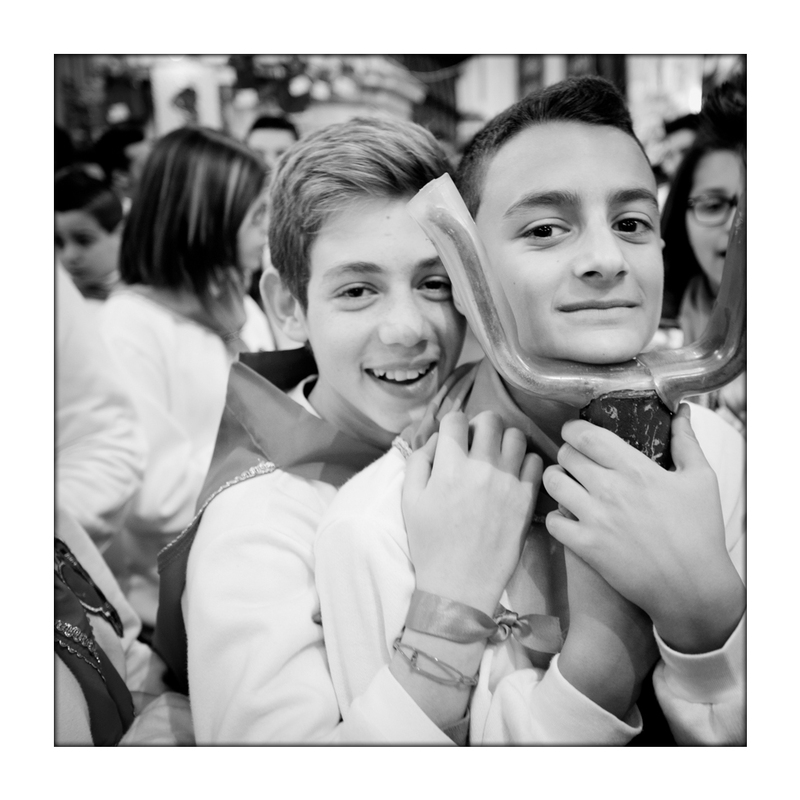 They are unique volumes of particular interest and value.